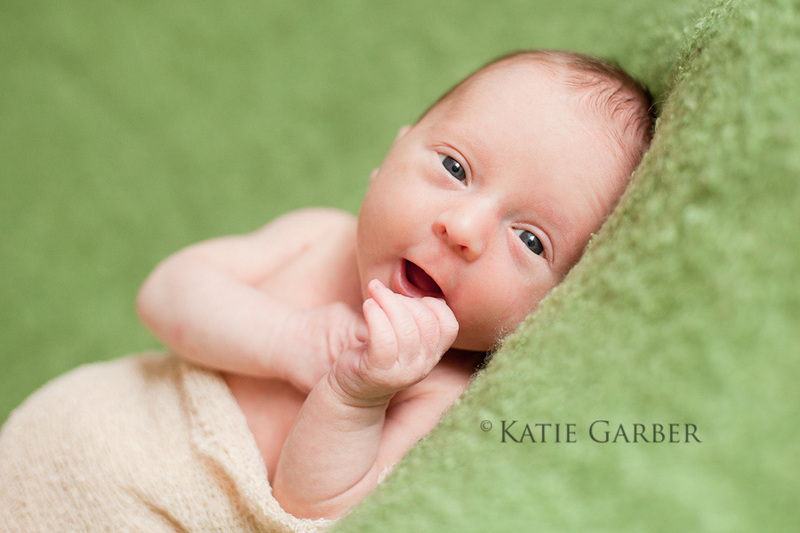 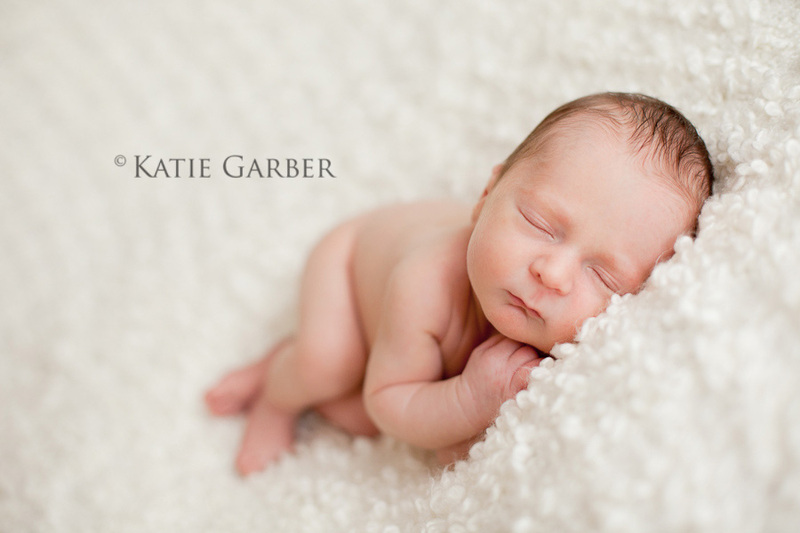 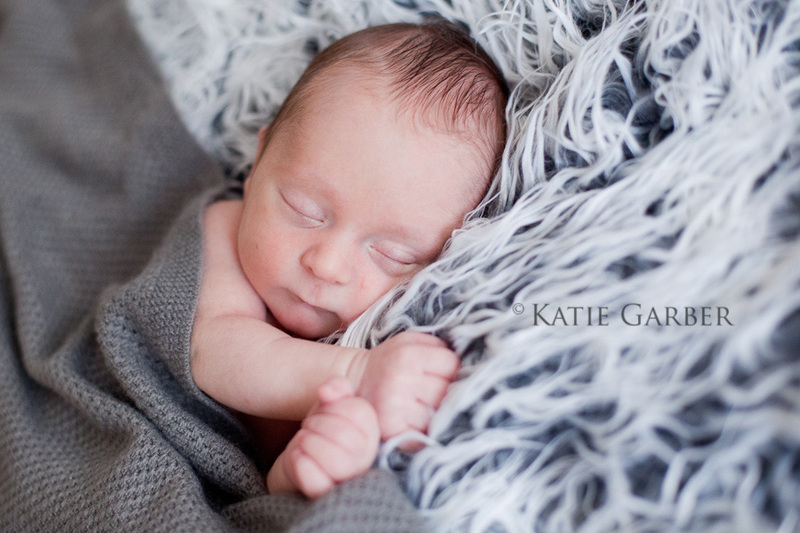 I welcomed tiny Isaac into the studio for his newborn photography session when he was 11 days old. 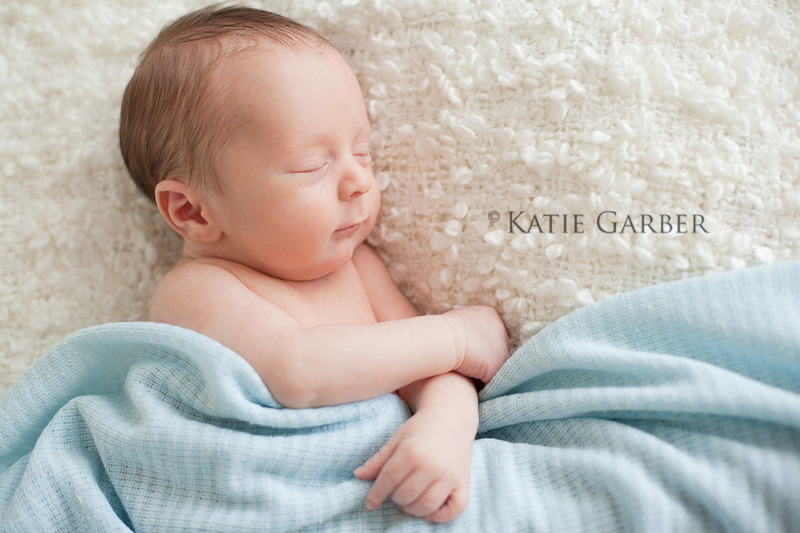 He was a perfect little model for his newborn portraits. 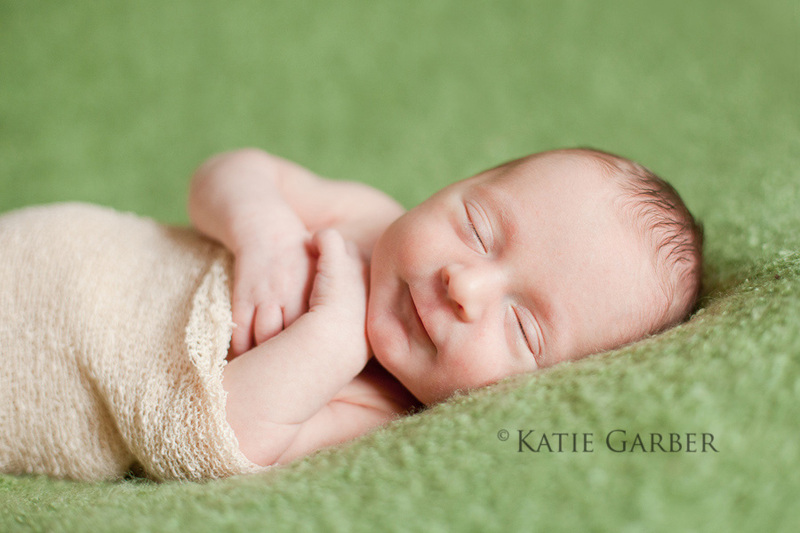 He was such a happy, sleepy baby that we had to finally wake him up to take some photos with his eyes open!